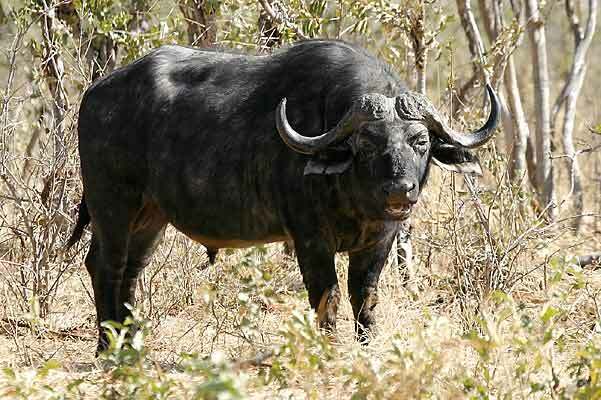 Caption: Buffalo bull (Syncerus caffer) standing in thick bush, Chobe National Park, Botswana. Photo: © Scotch Macaskill. Location: Chobe National Park, the second largest park in Botswana, covers 10,566 square km. It extends from the Linyanti and Chobe rivers in the north, down to Moremi Game Reserve in the south.